Chesterfield’s up-and-coming motor racing star Seb Perez says he is full of confidence ahead of his trip to Donington Park this weekend for the next two rounds of the Porsche Carrera Cup GB Championship. The 18-year-old will line up alongside his fellow Amigos Team Parker Racing rookie teammate, Nottinghamshire’s George Gamble, in their Porsches. And both will be aiming to pull out all the stops after both cars performed exceptionally well at the Brands Hatch Indy Circuit in the first two rounds of the race series. 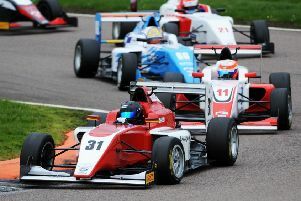 Perez was shunted from behind and ended up in the gravel in race one, but recovered to finish tenth in the second race. the weekend as a whole. “The car felt great and we are making real progress with every lap. It just felt very comfortable in the Porsche, and Amigo Team Parker Racing did a great job to get the car back out for race two. I really need to continue the pace into the next round at Donington”. 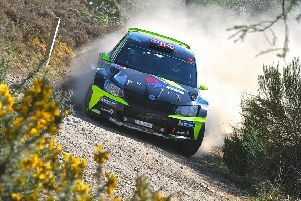 Perez lies sixth in the ProAm and Rookie category of the championship, while Amigo Team Parker are second in the team event.